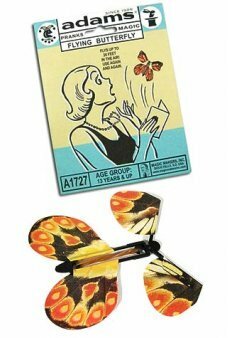 The 1930’s Amazing Flying Butterfly is back! It really works! Windup the beautiful paper butterfly’s wings and place it ..
A marked coin appears inside a sealed bag, within a sealed box in another larger sealed box! 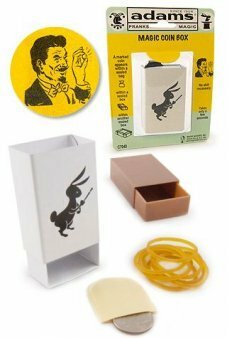 The Amazing Magic Coin Box .. The Amazing Magic Stick changes color into the spectator’s chosen color! Trick your friends and family with this classi..
Share a cup of really, really “hot” hot tea! 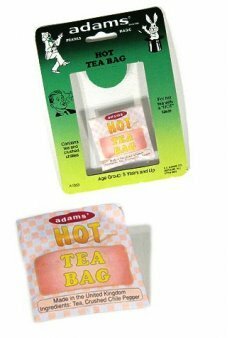 Our classic Hot Tea Bag Prank includes crushed chile peppers to shock your ..
Only you can name the number on the cube inside 2 solid containers! Our feat of magical X-Ray Vision is easy to learn. A.. Since the 1940’s kids learned their first Magic Trick from SS Adams’ Easy Magic Tricks Book. Each of the over 50 tricks ..
No one can resist eating your chocolates! 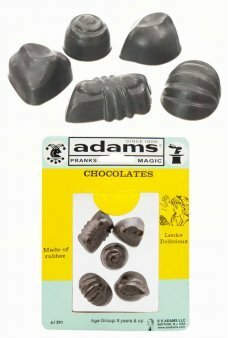 Trick your friends with SS Adams' delicious-looking rubber chocolates by ..
Only you can make things appear and disappear in this retro orange box! Our feat of magical transformation is easy to le.. 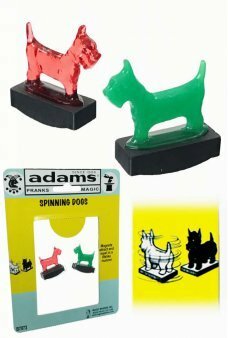 Laugh and watch the two scottie dogs spinning in circles chasing their tails. Now it’s your turn to make the dogs ..
Use the Magic Thumb Tip to make a handkerchief vanish. 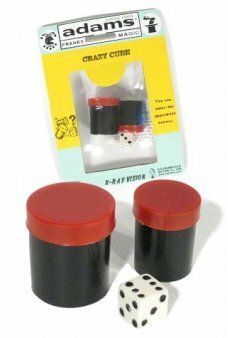 Get creative and make whatever you can fit diappear. No mat.. Danger has never been so delicious. 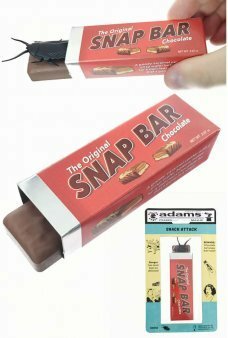 Share your snack bar and surprise your victim with a realistic-looking roach! Get cr.. The Magic Caterpillar acts as if it were alive! 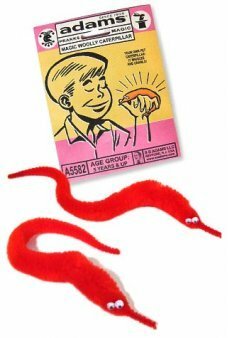 You will never have feed your special pet It’s easy to make the Caterpil..
It’s the Original Super Joy Buzzer from SS Adams! 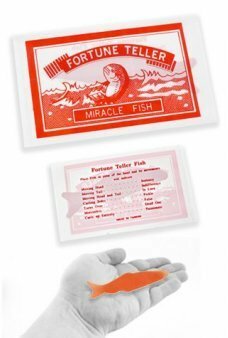 Our classic tin Joy Buzzer practical joke always surprises your friend..
Watch as the fortune teller miracle fish decides your fortune! 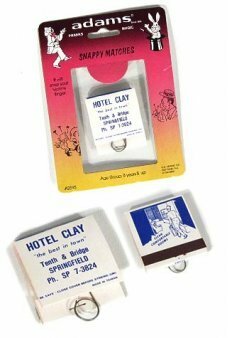 Our Miracle Fish is a classic novelty from the 1950’s. P.. 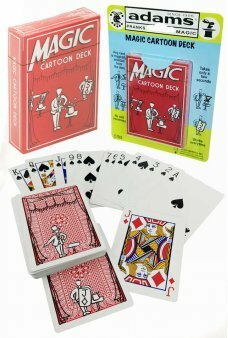 The classic Magic Deck of Cards! 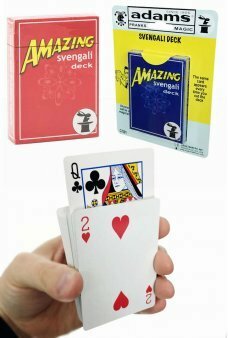 The Amazing Svengali Deck will enable you to engage and entertain audiences with ..
Our Magic Cartoon Deck shows a magician coming to life to amazingly find the chosen card! Just ask a friend to&nbs.. This beautiful picture book commemorates the one hundredth anniversary of the S.S. Adams Company. Within its facinating ..